Beeserker - So Much Game News! 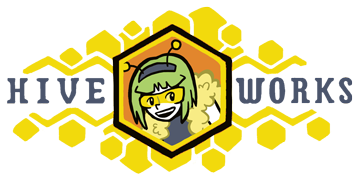 I’ve made some changes to the Beeserker Patreon. While the $1 tier won’t receive new wallpapers every month, they’ll get access to all the couple dozen existing ones, as well as exclusive demos to some of the games I’ve been working on. The first of these games is That Slow Crab to the Coffee Machine. 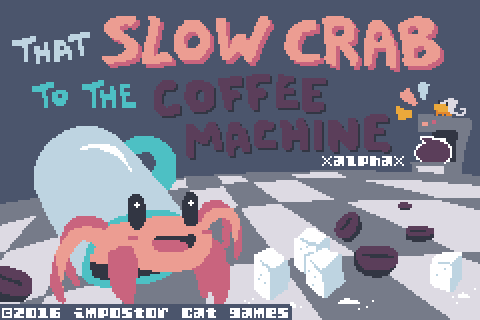 It’s a puzzle platformer wherein you play as the titular slow crab, making its way to coffee machines in each level by stacking sugar cubes and spilling various liquids out of its mug/shell, and if you’re a $1+ patron, you can download the demo right here, right now. In other news, Fist’s Elimination Tower has been accepted into MAGFest‘s Indie Videogame Showcase. Chapter 14 will probably begin after this, as I’ll be busy over the course of the next few weeks getting this demo together. I’ll probably make some updates to the comic in the meantime, however, mostly since I don’t want to leave such a big spoiler right on top of the main page for a month.